Epson 5.55in. (L) x 3.70in. (W) x 3.75in. (H) 2.1000 lbs. 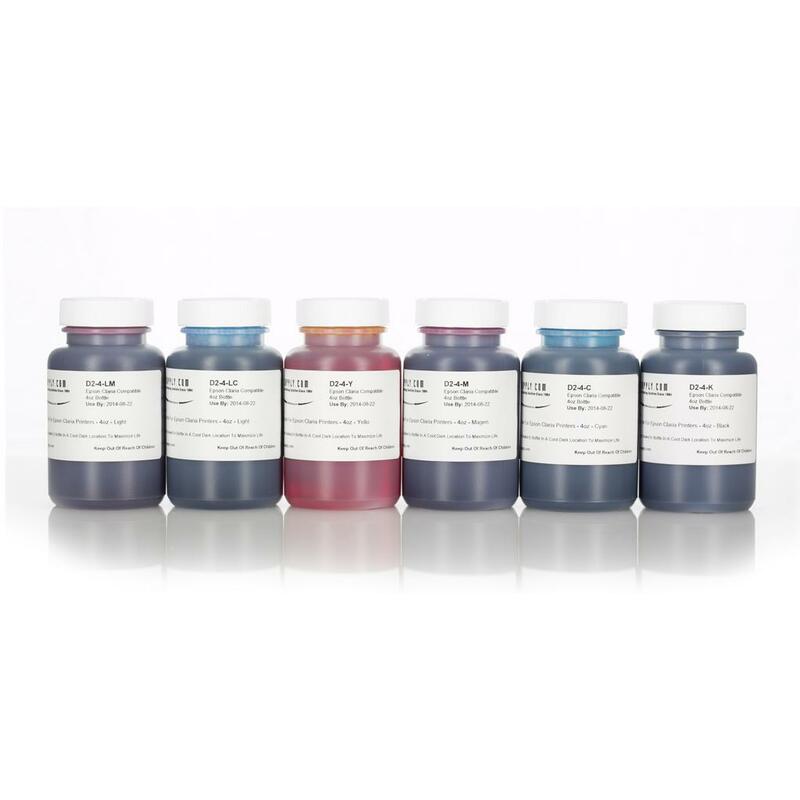 InkSupply.com D2 Dyebase Inks For Epson Claria Ink Printers Provide True-to-life Prints. The Colors Are Bright And Vibrant, But As With Any Other Dye Ink, Extended Longevity Should Not Be Expected. If You Encounter A Source That Makes Claims To The Archivability Of Their Dyebase Inks, Please Beware. D2 Claria Compatible Inkjet Ink Is Ideal For Use On Any Of The Epson Printers That Use OEM Claria Epson Inks. The Inksets Come In 6 Color, 1 Black And 5 Color (CMYLcLm). As With All InkSupply.com Inks, D2 Is Proudly Manufactured In The US To The Highest Quality Specifications Available. Fully Compatible With All Epson Claria Desktop Printers. Superior Flow Through On Continuous-feed Systems. Improved Dot Gain, Color Density, And Gamut.